Dante Falconieri, a Federal Drug Enforcement Agent is cynical and disillusioned. He is weary and needs a vacation. His undercover activities have led him to mistrust everyone he deals with. His relationship with Mina, his girlfriend is jeopardized by his mysterious disappearances necessitated by his job. Can Dante himself be open to temptation if put to the test? In constant danger, his resolve may be showing cracks. How long can he hold on? When the phone calls began in the dead of the night, Jackie chalked them up to a prank caller. She had had her share of harassment coming up the ranks of the Air Force and shrugged them off. Then she began noticing changes in her home that she had not made, unsigned love letters began arriving, and she knew she needed to worry. Was she paranoid, going crazy, or were men at work not getting the message that she wasn’t interested? In the neighboring town of Sedalia, a more ominous situation was afoot. The unexplained death of yet another young, single woman had the police on alert. Same MO, different small town. It was only a matter of time before the killer found his next victim. “Dawn Brotherton‘s The Obsession plunges the reader into a tale of suspense and mystery. Brotherton’s military career as a missile crew member and officer provides the backdrop for her book…resulting in an intimate and authentic portrait of a strong heroine determined to find and stop her stalker. The Obsession is a compelling read that pits the hunter versus the hunted and page by page leads to a riveting finale.” –Tj O’Connor, Author of the Gumshoe Ghost series. Bathed in the beauty of Germany on a storybook assignment, Major Jackie Austin is revered across Spangdahlem Air Base as an officer and leader. The Air Force is looking to promote her ahead of the pack. From the outside, she’s got it all, to include a fighter pilot husband, the handsome and popular Stan “Mace” Mason. In truth, things are fraying behind the scenes, as the compromises of a two-career military marriage take their toll. All of it factors into the greatest tragedy Jackie will ever experience, yet she’ll have no time to heal. The Air Force Office of Special Investigations’ lead investigator Chris Marquette has her locked in his sights. Only Jackie Austin can save herself, even if it means walking straight into a den of terrorists. Two friends, Myra and Topher, deal with their twisting lives. Her husband beats her, his lover ignores him, and their friendship must bend with changes of its own. Dealing with their own problems, Myra's increasingly violent husband and Topher's unrequited love for his partner Alex, they don't realize how much their lives parallel each other. Myra's husband Gil controls her actions with his violence. Doubts finally creep into Myra's reluctant mind. Her dream of a happy family is slipping out of her reach. Although Topher helps her build self-esteem and is the stable influence in her life, he is in a crisis over where he fits in the gay community - too old for the club life, but not in a stable committed relationship. He allows Alex to manipulate him with the future possibility of love. Finding strength to leave their relationships, Myra and Topher decide to escape from their life and start over -- together. But, Myra's husband craves revenge. 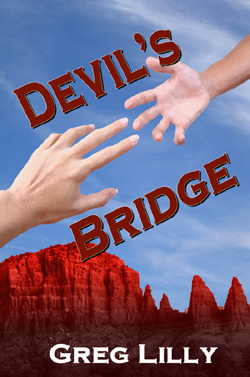 At a place called DEVIL'S BRIDGE, vengeance is redeemed. Derek Mason arrives in Charlotte, North Carolina for the funeral of his Aunt Walterene. He encounters the family who sent him away because he revealed he was gay. His mother and Uncle Vernon want him out of town because of Vernon's senate campaign. His sister and Aunt Ruby urge him to stay. His cousin Mark denies their past relationship. Derek uncovers mysteries in the death of a family gardener, possibly at the hands of a young Vernon. Secrets and lies unravel as Derek digs into the family history with the help of reporter Daniel. 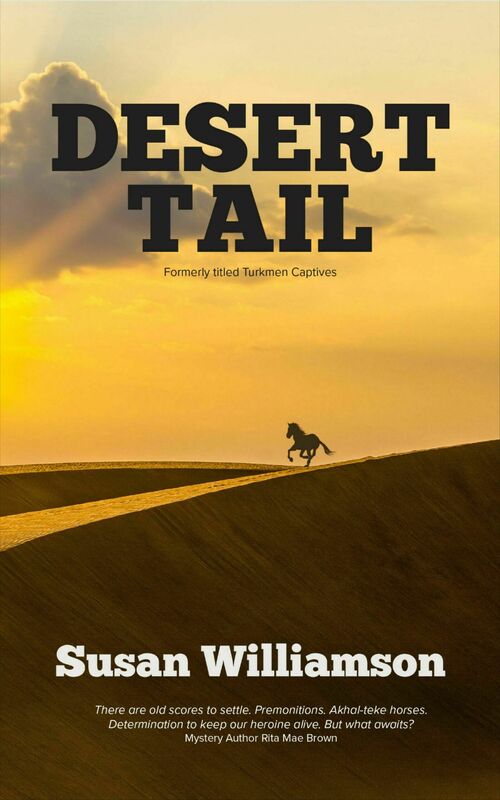 With eco-terrorists, wildfire and a shocking scalping, Greg Lilly's SCALPING THE RED ROCKS rips the mask off the superficial New Age haven of Sedona, Arizona, to reveal its darker side, in a don't-put-it-down mystery that will keep you guessing right up to its stunning climax. A winner! 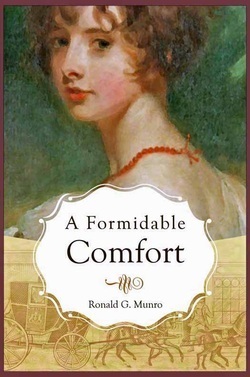 A Formidable Comfort by R. G. Munro is a story of gallantry and guile, of fortitude and lamentation. Set in the unsettled times of England's early 1800s, this sequel to Elegance and Simplicity relates the fulfillment of one love, the discovery of another, and a challenge to both that is fostered in the disturbing shadows of vengeance and retribution. 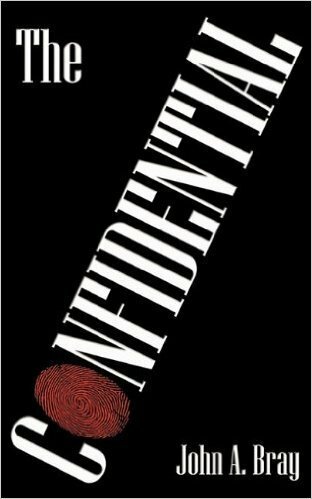 Together, Miss Ariana Atwood and Mr. Cedric Stacey will be drawn into a convoluted series of schemes and counter schemes intertwined with the most devious intrigue yet fomented by Mr. Gavin Raith. In a journey that will stretch from Bath to London and onto the high seas, two loves will be immersed in one trial of endurance, testing love's persistence against the abject odds of conflict, counterpoint, and survival, all resolving in an acclamation of the human spirit and a harmony of love tenaciously fostered, tested, and proven in the unyielding glory of life. 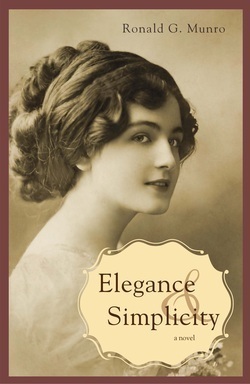 Lingering Missives is a murder mystery novel set in the present time, but utilizing the legendary estate of Southjoy Mission created in two previous romance novels which were set in the 1800s (Elegance and Simplicity, and A Formidable Comfort).Young American, Catlyn Stacey, is the sole surviving descendant of the Stacey lineage. Alone, she must contend with powerful forces who crave the influence and prestige that the Southjoy Mission estate would bring them. Lured by the fumes of fortune perceived in a document that has clung to existence some 1300 years, they're deterred neither by the desperate petition issued some 800 years later, nor by the passionate plea carefully cultivated in poignant and pointed words in the 200 year old diary of Ariana Stacey. Beginning like a romance novel, the story shifts into a murder mystery, and finally concludes with a brief, but intense, psychological drama dealing with grief and loss. In the wake of her best friend’s murder, the death of the man who loved her, and the torment of her own kidnapping (Lingering Missives, 2014), the serenity of Catlyn Stacey’s personal world has been torn apart and left in shambles. Now a sociopath intends to destroy the rest of it. Plagued with nightmares and burdened with the guilt of being a victim, Catlyn perceives a future in the person of an orphaned child, the support of an ad hoc family, and the inspiring words of the two hundred year old diary of a distant ancestor. In a harrowing confrontation with her tormentor, Catlyn discovers her deepest inner strength, a will to live, and love. Novella - Her life in jeopardy, Caroline escapes from Richmond, Virginia and heads to a house she owns in South Carolina that is the secret hiding place for the royal cross necklace. But danger follows her home and so does Rob. When he appears, the necklace disappears making Caroline suspect Rob. Still, with no one else to turn to, she must trust him. Is that trust a mistake? Together, can they retrieve her precious family heirloom? Can Caroline escape the stalker who has followed her to South Carolina? When Dana Sinclair realizes Clifton Wilder is missing, she takes off for Costa Rica to search for him. 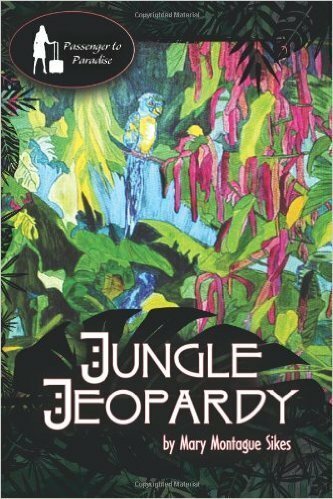 An apparent kidnapping turns into a jungle adventure that leads Dana and Clifton into the wilds of Guatemala where they discover an unexplored Maya cave and find pottery and walls covered with glyphs. Tyler Hunter wants to save Dana’s sister, Rebecca, from prison, and to do so, he needs for them to find her grandfather’s hidden treasure. An archaeologist on sabbatical in the Caribbean, Tyler intrigues Dana with his knowledge of the Maya. Dana has never doubted her sister’s guilt in the murder of their grandfather on the island of Antigua, but now an element of doubt begins to creep in. "Passenger to Paradise" gothic mystery/romance set on the island of Antigua. 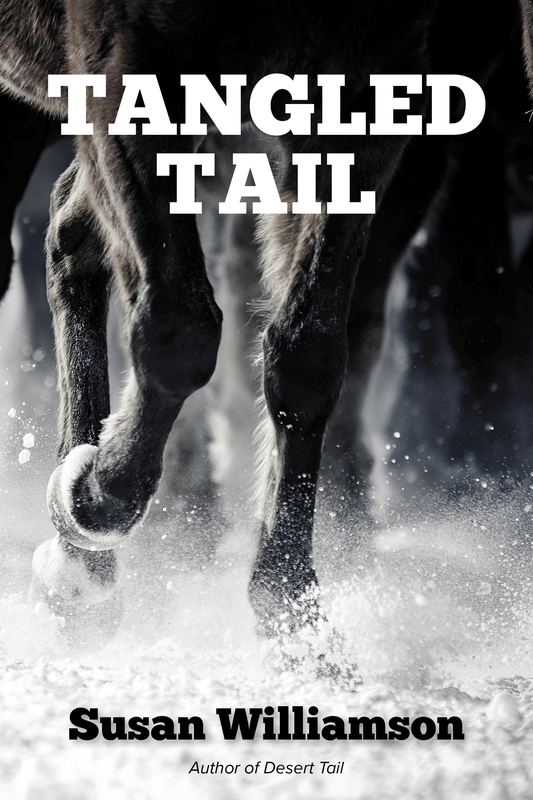 Molly Lewis has just finished a grueling day at the barn with no help when a trail ride along the Broad River brings her to a body in the woods. --One that was trouble alive and bound to be more trouble dead--for Molly and everyone concerned. Madelaine Jones is still reeling from her husband's death in Afghanistan when her house explodes and a mysterious letter indicates her husband might not have been a war casualty. Her desire to know the truth puts Madelaine and her loved ones in danger as she searches three continents for answers. Madelaine Jones is trying to reorder her life after discovering the truth of her husband’s death overseas. She is remodeling a home and working to foster a young victim of human trafficking when her friend Irish Garda Commander Peter Simon asks for her help in a case of smuggling via horse. The smuggling is just beginning of this case of international intrigue and news planting.